Aly Raisman has criticized USA Gymnastics for the appointment of Mary Lee Tracy as elite development coordinator for the women’s program – alleging that the move is a “slap in the face” to sexual abuse victims. Raisman, a triple Olympic champion, is one of dozens of women who have documented abuse at the hands of disgraced former team doctor Larry Nassar. She accused USA Gymnastics of showing “no willingness to learn from the past” and added: “This is a slap in the face for survivors, and further confirmation that nothing at USA Gymnastics has changed. insidethegames has contacted USA Gymnastics for a response. 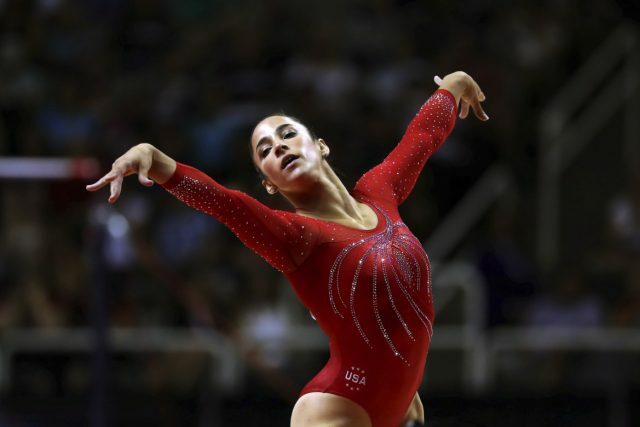 Raisman, the floor and team Olympic champion at London 2012 and then a team winner again at Rio 2016, was one of several victims who confronted Nassar at his court hearings and read out statements. He carried out the abuse under the guise of medical treatment and is currently serving a jail term of up to 175 years. Nassar is reportedly staying in a Federal transfer facility after he was allegedly assaulted after being released into the medium-security Tucson prison. More than 250 people accused him of abuse including numerous top gymnasts. The crisis has led to fierce criticism of both USA Gymnastics and the United States Olympic Committee over what they knew and when and whether they could have prevented the abuse. Tracy is the President and head coach of the Cincinnati Gymnastics Academy and a member of the USA Gymnastics Hall of Fame. She has coached more than 25 members of the US national women’s team, including four Olympians, and has worked at two Olympic Games and seven World Championships.